The flamboyant trombone of Mark Bassey leads this dynamic jazz quartet playing original music full of strong thematic imagery and quirky humour. The flamboyant trombone of Mark Bassey leads this dynamic jazz quartet playing original music full of strong thematic imagery. The band features the magnificent talents of Dave Frankel on piano, Simon Thorpe on bass and Sean Randle on drums. "Mark Bassey's compositions combine storytelling, visual imagery and offbeat humour. Varied and evocative writing, the band prove their ability both individually and as an ensemble. 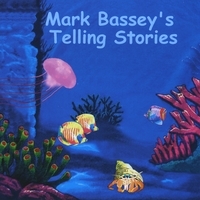 Hats off to the Mark Bassey Quartet." Hugh Gledhill, Jazzwise. The words [on the album] are variously sung, spoken and shouted: a cry of ‘Oi, you!’ punctuates the lurching, inventive quartet interplay of ‘Road Rage’; ‘Crazy Town’ is a poem flatly intoned over a simple drum accompaniment; while ‘People Watching People’ offers a distinctly dreamy sung contrast. The main sequence, the wordless ‘An Underwater Adventure’, is properly programme music – and very well played. "… trombonist Mark Bassey … particularly wired for passion … rasping with an agile sliding grace."